You'd get the very best from us! We used Canbillaire logo creation services along with their website development services. They have been a pleasure to work with and have been responsive to all questions asked. I have recommended them to some of my clients and will continue to do so as we have been very happy with the logos and websites that they have created for us. I have known and worked with Chukwuma, and his team, for several years on two different websites. In addition to being a great guy, Chukwuma is very professional and knowledgeable about all aspects of web design as well as internet advertisements. His work ethic is impressive and everyone at Canbillaire works diligently to satisfy the customer. I would highly recommend them. “I would be lost without the Business and Information system Analysis I was able to get at a discount from Canbillaire. I would also like to say thank you to all your staff.” . 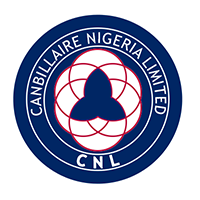 I have worked with Canbillaire Nigeria Limited over the years on a number of projects. I’ve always found them to be responsive, friendly and up-to-date with all the technology – which everyone knows is constantly changing. I recommend Canbillaire completely. I attended a Chamber of Commerce SME online marketing workshop in November 2015 where Canbilliare presented on how to develop a social media campaign. I was impressed by their presentation and realized that it was time to shift my advertising campaign online. I find the staff of Canbillaire to be very knowledgeable, experienced, responsive, and helpful. As such, I have recommended them to several colleagues. Anytime I have an advertising campaign I reach out to them, and they always hit my deadline. I highly recommend them.